KOWLOON Motor Bus (KMB, 九巴) is raising drivers’ pay by 30 percent and reducing their driving time by one hour in an attempt to avoid a repeat of the bus crash in Tai Po that killed 19 passengers. A notice on this was issued to all staff after a meeting between the company and two unions. 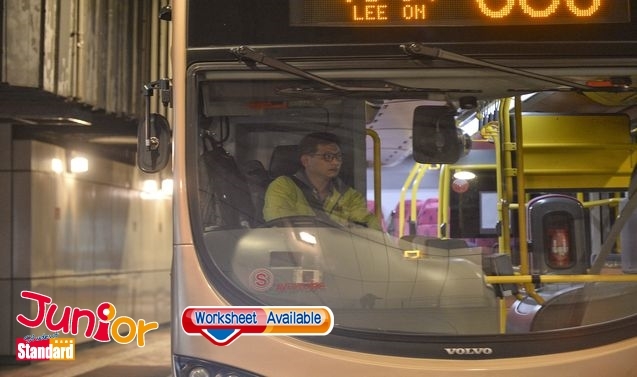 It stated that from 1 March, all bonuses will be counted into the base salary, meaning the monthly pay for junior drivers will be increased from HK$11,810 to HK$15,365, while that for senior drivers will be raised to HK$16,165. The move is expected to benefit at least 80 percent of the company’s 8,300 drivers. The overtime pay will also be increased by 35 percent from HK$70.9 to HK$96 per hour based on the new monthly salary. These changes will not affect the annual salary adjustments in June, KMB said. Kwok Wai-kwong (郭偉光), vice chairman of the Federation of Bus Industry Trade Unions, said the adjustments mark a good start to prolonged negotiations, but more needs to be done. Apart from the pay rise, Kwok said the bus company will also cap the working hours at 13 hours a shift, down from 14. The actual driving time will also be shortened by an hour to 10. KMB refused to confirm the arrangements. The company has stopped assigning work to the 209 existing part-timers after a KMB bus operated by a part-time driver flipped on its side, killing 19 passengers earlier.